The Samsonite Executive Computer Tote in black has a top recessed zipper closure to access the main compartment and a front zippered pocket. There are also interior slip pockets, a zippered pocket and key leash. This Samsonite tote also has a center padded laptop compartment (sized to fit up to a 15in laptop)and a padded tablet pocket with tricot lining (sized to fit up to a 11in tablet). 10.5in leather cushioned shoulder straps. Trolley strap feature slips over luggage handle for easy transport. 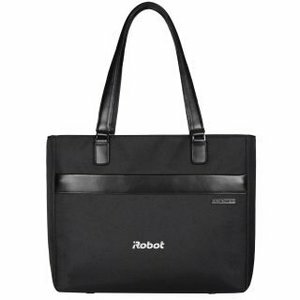 This is the computer tote bag for any stylish, modern executive to carry your everyday essentials.